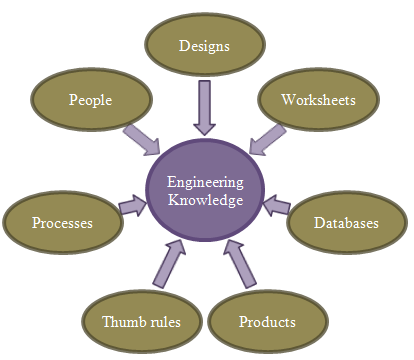 Knowledge-based engineering is the process of capturing the knowledge created in the product development process. In KBE, the knowledge of the product and its design process is captured and developed as software system (commonly known as KBE) and the use of this system in the design and development of similar new products. These KBE helps designers to create new similar product design for a new set of input specifications. In fact, these KBE applications can be re-used again and again to generate many new but similar product designs. It is reused and enhanced with parameters and rules, integrating it with knowledge (design) templates. There are several benefits of knowledge-based engineering are reduce the product development life cycle, cost, and capture the process and reuse of the engineering knowledge. Industry established maturity model for KBE implementation. Industry established specialists who capture information in a structured way, capture complex knowledge paths, and provide to the user at every stage of KBE development. Specialists are having more than decade experience in implementing KBE solution to various industries. Future CAE Technologies have implemented many KBE products to major automotive OEMs such Ford, Jaguar Landrover and many independent software vendors. CAE process development using Hypermesh Tcl/Tk. Various CAE analysis was developed as knowledge based templates which reduced analysis time by more than 80% percent. Whole vehicle bolt post processing were automated using Microsoft Technologies such as VBA, Visual Basic, etc. Future CAE Technologies offers cutting edge knowledge-based techniques to various industry applications covering the entire product life cycle of the product. CAE Process improvement using Hypermesh Tcl/Tk, Ansa, etc.